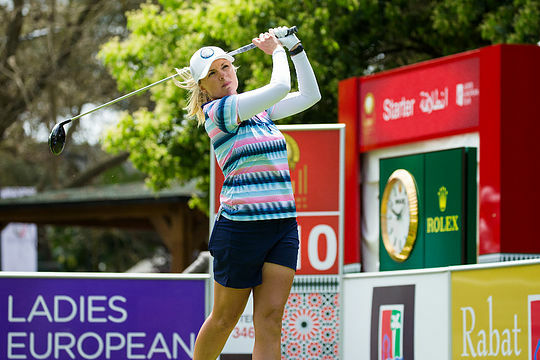 Sweden’s Jenny Haglund made a birdie on the second play-off hole to deny Australia’s Sarah Kemp and claim her first Ladies European Tour title at the Lalla Meryem Cup in Rabat, Morocco. The trio returned to the 18th tee and made pars at the first extra hole, but Haglund took the spoils after she blasted a 249-metre/272-yard drive down the 18th fairway and converted a four-foot putt for birdie from below the hole. The 32-year-old from New South Wales made some key up and downs over the front nine to build a two-stroke lead. She then chipped in for birdie at the 10th to extend her lead to three strokes, but the 11th hole was her undoing after she drove her ball right into the water hazard and hit her next shot through the green, running up a double bogey six. The 13-season professional would have to settle for her third runner-up finish on the LET, following the 2006 Catalonia Ladies Masters and the 2010 New Zealand Open and her 26th top-10 finish in total. With her win, Haglund earned a cheque for €67,500 and moved to the top of the LET order of merit, with Kemp second and Spilkova third. Amy Walsh was the next best of the Australians in equal 47th while Whitney Hillier closed in a tie for 59th.